Jerome Sutter read 10 books of his goal of 10! 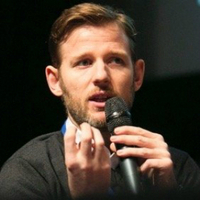 International Digital Director at Filorga, Mentor at Allianz Accelerator. Professor, author, speaker and blogger. To ask Jerome Sutter questions, please sign up. Social Calling: Et Si, Comme Eux, Vous Aviez Un Declic Pour Agir ? We’d love your help. Let us know what’s wrong with this preview of No Exit by Gideon Lewis-Kraus. We’d love your help. Let us know what’s wrong with this preview of The Elite Consulting Mind by Michael Zipursky. He has read 3 books toward his goal of 12 books.